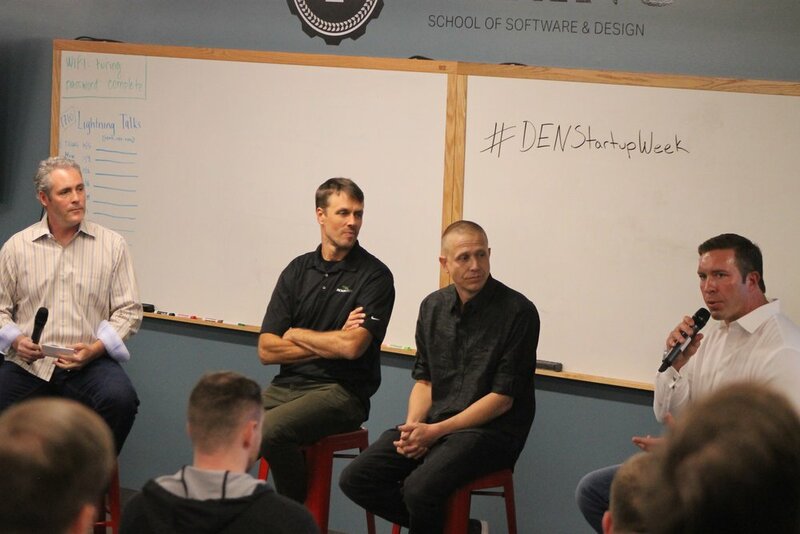 Thanks to those of you who joined Black Lab Sports at Denver Startup Week last Tuesday! We enjoyed interacting with you all and hope you gained some insight into what it takes to make it as a sports startup. If nothing else, hopefully you were inspired to take massive action towards turning an idea into reality, no matter how formidable and daunting it may seem. "More than anything, it's surrounding yourself... coming back to a team. Because I never would have done anything that I accomplished as a football player without my trust in my guys on my team... So having guys around you in the business world, finding the right ones, that's been a big challenge... you've got to find ways to vet them and have people you can trust." "Some of the challenges are just getting over your own ego and getting over your own doubts, and making those calls. And hey, if they hang up on you, then call the next guy." "I fell in love with chasing what scared me." "I never cried after winning a boxing match. But almost any time that one of my athletes won a fight, or even the people that I'm working with that are in the gym but aren't fighting... it would make me emotional." "(JP) asked me about my purpose... and he helped me find that externalizing the internal champion is really what my purpose is. Once I really found that, everything fit together... everything in my whole life has been about it." "It wasn't about the eyeblack; it was about the mindset, the concept, how (JP) approached it." "The ups and downs of football... it's a lot like entrepreneurism or starting a company." "It's very important to me that people believe in me in this new route in life. It's powerful." Again, we really appreciate everyone who joined us at Denver Startup Week. It was great to gather in a room full of people eager to learn, innovate, and do great things. As always, if you're interested in continuing the conversation, please contact us here.